Bestop's new "bowless" top. 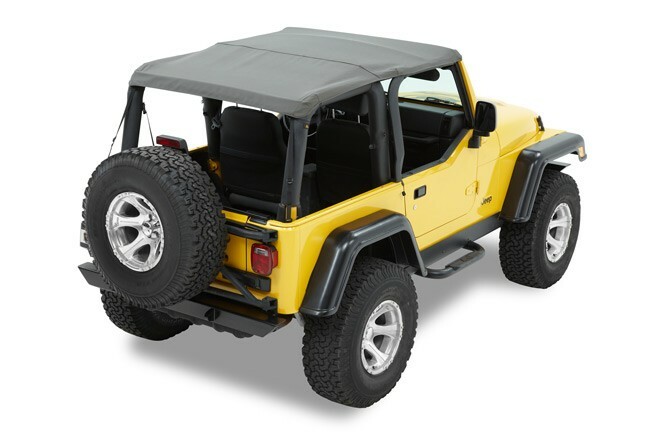 The Trektop NX features removable windows, factory style-door surrounds, Sunrider sunroof features, and factory-style header bar. The Trektop NX features Bestop's Top Arch support. 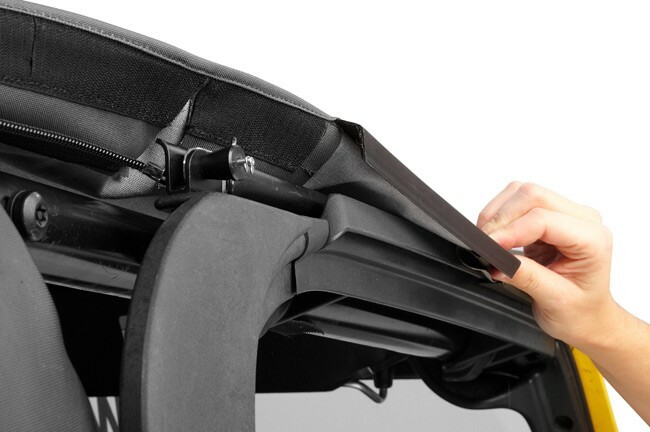 The Trektop NX takes away the top bows and frames, and uses the Wrangler sport bars to give it shape and support. 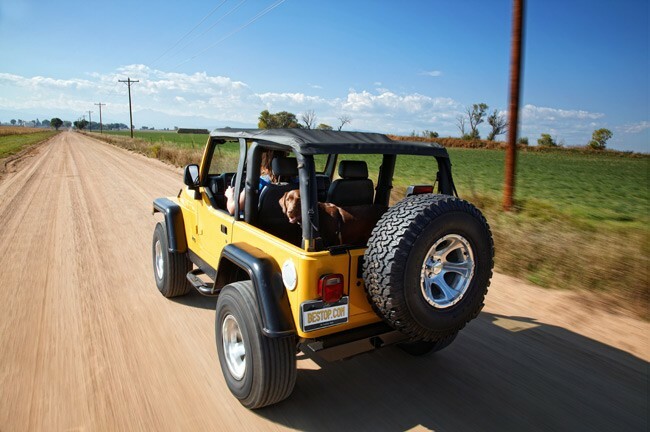 This gives the top a fastback or "raceback" look that's stylish, and different than factory soft tops or Supertops. 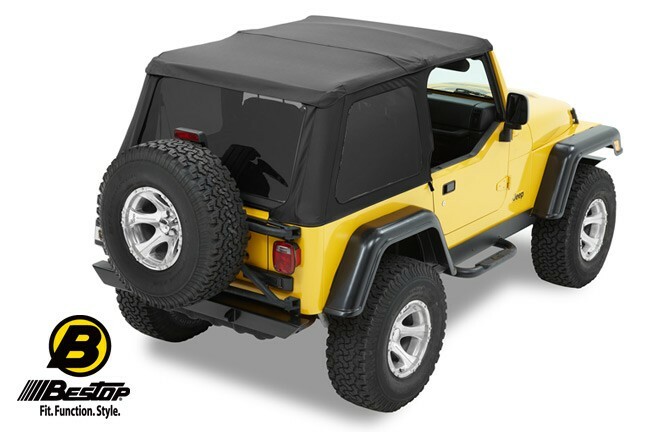 Trektop NX is two tops in one! 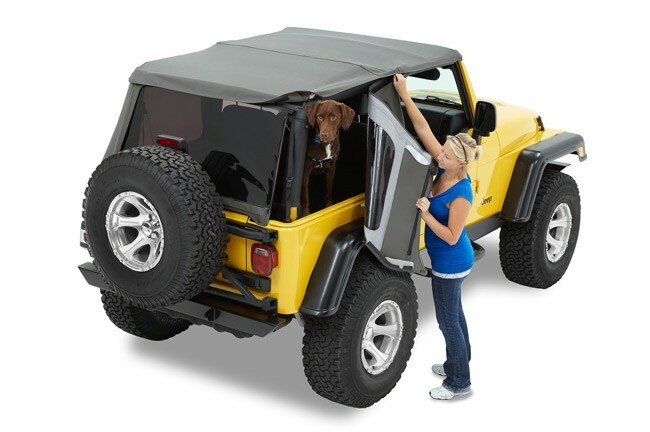 Use it as full soft top, or just remove the side and rear windows and you have Safari-style Bikini Top function. Our best multi-layer premium fabric that maintains its shape in all temperatures, is mildew-resistant, contains UV inhibitors. 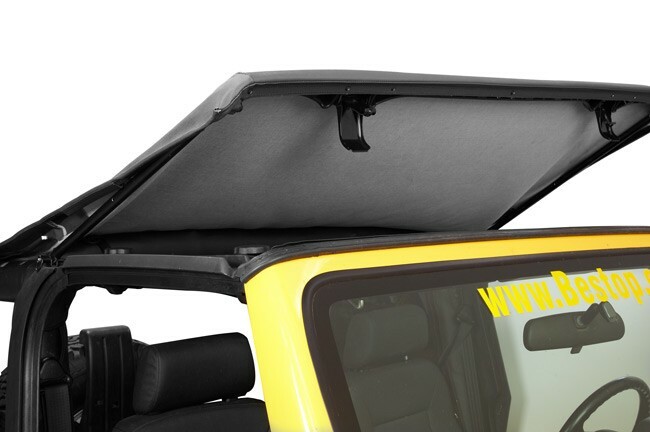 Built in Sunroof option allows for open air driving. Aircraft-quality aluminum Top Arch bar design with OEM style thermoformed composite polymer door surrounds and components. Aircraft-quality aluminum Top Arch bar design that spans above the seating area(s) to keep top tight, minimize puddling, help retain shape. Bestop's exclusive new Door Surrounds, similar to the OE style door surrounds found on TJ's and JK's. Door surrounds made with OEM style thermoformed composite polymers. 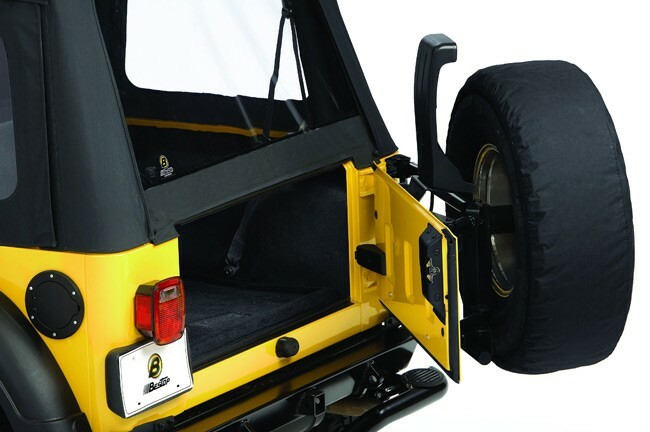 Works with all Bestop door kits (sold separately).